The inaugural Melges 14 U.S. National Championship will be hosted by the Lake Geneva Yacht Club at the beautiful Buddy Melges Sailing Center June 15 – 17, 2018. 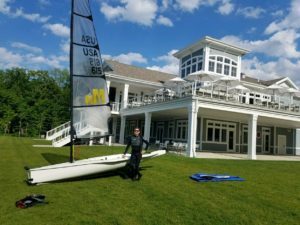 Lake Geneva is a world-class venue and mid-June is peak sailing season in Wisconsin. LGYC boasts a large, regularly racing Melges 14 fleet. Expect to see a big turnout for this event! The regatta is open to all Melges 14s. Nine races are scheduled over three days with plenty of on-shore fun to make it an event to remember. There is still time to purchase or charter an M14 for the regatta and get ready for what will be a huge event. How huge? Really huge! 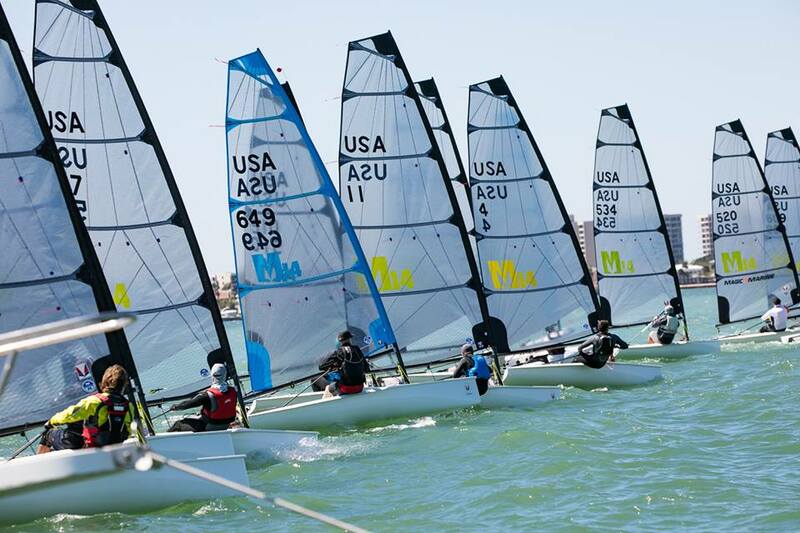 The projected fleet size will easily eclipse the big fleets seen at the Midwinters Regattas in Sarasota in 2017 and 2018. The Nationals will be the largest gathering of M14s in the boat’s short history. You do not want to miss this event! Since the boat’s inception it has received rave reviews from serious racers to the casual daysailer. Winner of the prestigious Sailing World “Boat of the Year” in its inaugural season, it continues to impress. Our customers are always quick to note the boat’s speed, build quality, and fantastic ergonomics. Visit our Melges 14 Product Page to find out more.